The 2019 Chevrolet Silverado 1500 was one of the most talked-about vehicles at this year’s North American International auto show, namely because of the improvements that have been made by General Motors on their flagship vehicle, but also because of the Silverado’s overall popularity. Indeed, the Chevrolet Silverado is one of the best-selling vehicles in both the United States and Canada, and a new generation of anything this popular is always an event. The new 2019 Chevrolet Silverado will be one of the most talked-about vehicles this year all the way up to its arrival on the market this fall. We don’t know every detail about the new Silverado 1500, but its unveiling at the North American International Auto Show a few weeks ago did provide a lot of information about Chevrolet’s upcoming full-size pickup. For starters, we know that the new Silverado 1500 will feature a lot of high-strength steel and aluminum. Almost every single component of the 2019 Chevrolet Silverado will use either type of steel, and that should translate into an even sturdier, more muscular Silverado that is also better on fuel, safer, and more dynamic than ever. Comfort should also be improved thanks to reduced vibrations and a more comfortable interior. Under the aluminum hood, buyers will be able to choose one of three engines. Two V8 engines will be offered, a 5.3-liter entry-level option as well as a 6.2-liter engine, and there will also be a 3.0-liter Duramax diesel option as well. In other words, there will be an engine for every need in the 2019 Chevrolet Silverado lineup. Other improvements include a longer entry-level box, more useful and wider corner steps, a completely redesigned interior, twin exhaust pipes at the back and tires that can go up to 33 inches. With the 2019 Chevrolet Silverado, Chevrolet marks the 100 year anniversary of the first pickup to ever go on sale with style. 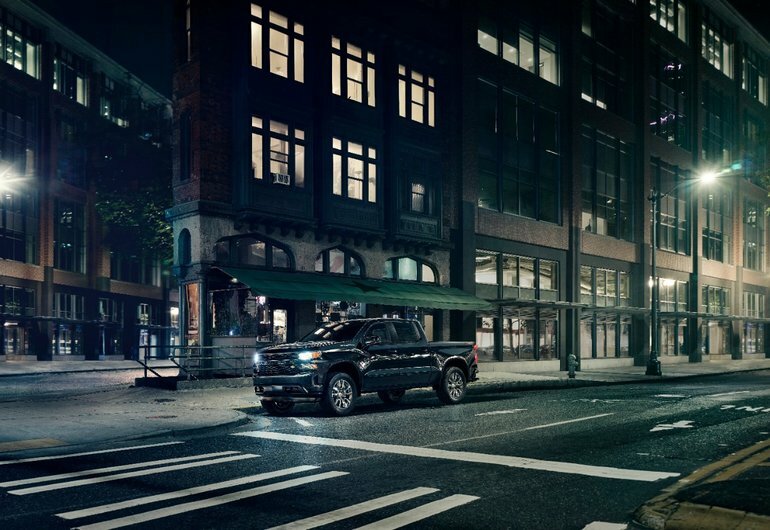 To learn more about the 2019 Chevrolet Silverado 1500, contact us today at Bruce GM Digby!